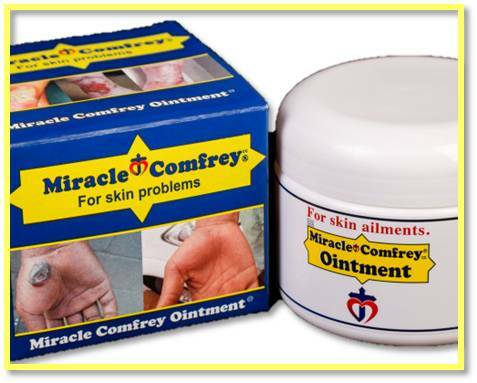 Miracle Comfrey Ointment (Comfrey in a petroleum jelly base). Use the ointment for a longer lasting effect. It is like a first aid kit in one jar! Can be used for all kinds of wounds, eczema, itching, allergies & rashes, pain, etc.